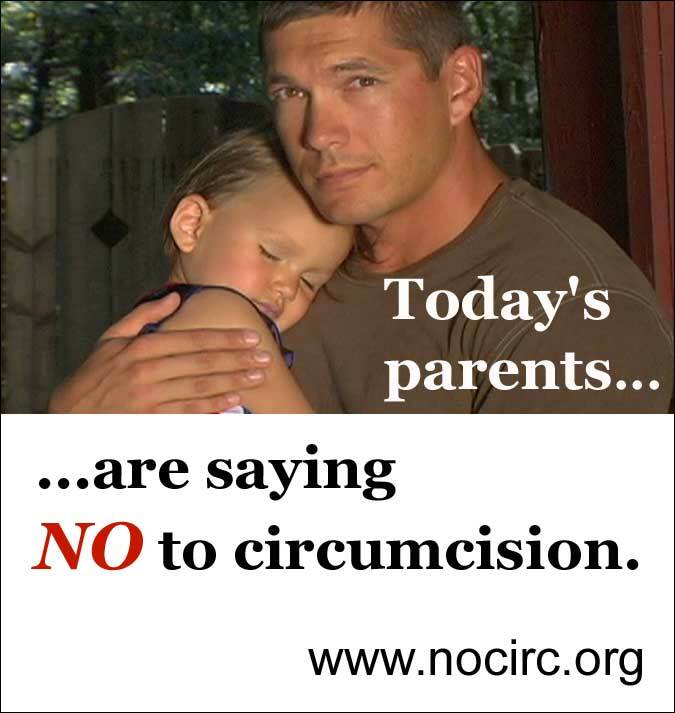 Welcome to the website of the National Organization of Circumcision Information Resource Centers, founded by healthcare professionals to provide information to expectant parents, healthcare professionals, educators, lawyers, ethicists, and concerned individuals about circumcision and genital cutting of male, female, and intersex infants and children, genital integrity, and human rights. In January 2016, the National Organization of Circumcision Information Resource Centers (NOCIRC) retired its name and adopted the name Genital Autonomy - America (GA-America). Autonomy means self-governing and self-determination. We believe all people have that right with regard to their own bodies. To read more about this change, please click on NOCIRC Publications (above) and read my Letter from the Editor in the 2016 NOCIRC Annual Newsletter. This website will remain on line because the NOCIRC publications continue to be valuable, they are not copyrighted so that the information will be disseminated, and our video is still useful for the purpose of protecting the rights of infants and children. No national or international medical association recommends routine circumcision. Only the USA circumcises the majority of newborn boys without medical or religious reason. Medicalized circumcision began during the 1800s to prevent masturbation, which was believed to cause disease. Today's parents are learning that the foreskin is a normal, protective, functioning organ. Today's parents realize circumcision harms and has unnecessary risks. Circumcision denies a male's right to genital integrity and choice for his own body. Please visit our Directory for important articles, and also read our educational pamphlets (click the box below). NOCIRC is a member of the International Coalition for Genital Integrity. Alliance for Transforming the Lives of Children.